Have you asked yourself what success truly means to you lately? Is it having more money, a better career, a nicer home? Or is it something intangible like an ability or skill? Or perhaps it is discovering your purpose in life so that you can make a valued contribution to society. In reality, it’s not the meaning of success that is different for everyone; it is what each person links success to, that is different. In other words, success has the same meaning everywhere; it’s just that people want to be successful at different things. What Do You Aspire To Be Successful At? Are You As Successful As You Can Possibly Be At That Certain Thing? Now, I want you to take a moment and think of someone who could be considered ultra successful at something. Perhaps a great athlete like Michael Jordan or a great real estate investor like Donald Trump. Now ask yourself what these people did to achieve such great heights of success. Was it skill? Was it knowledge? Was it talent? Or was it just plain luck? I believe it was a little of all of those things, but I believe luck was the dominating factor. That’s Right I Said It….. They Were Lucky…..
Luck is what got these people to where they are today. But before you jump ahead and think that only certain people are lucky and if you’re not one of them, your chances for achieving success are shattered. Think again. Because success is nothing more than preparation meeting opportunity. You see, opportunities present themselves all of the time. The only problem is that people don’t actually see opportunities because most people aren’t prepared for them. Well, whatever was supposed to happen happened exactly when it was supposed to. It’s just that you weren’t prepared. You see, when Michael Jordan used to hit those game winning 3 point shots, it’s not that he was lucky; he was just prepared to make that shot at that exact moment. Years ago, when the real estate market was in turmoil, Donald Trump was prepared to start buying when everyone else was doing the exact opposite. Again, he was prepared when the opportunity arose. So now the question becomes, “How do you become fully prepared when an opportunity presents itself”? In other words, whatever it is that you want to become successful at, you must master as if you want to become the best in the world at. That’s exactly what Michael Jordan did every single day. The problem is most people don’t think they are capable of accomplishing this because they haven’t tapped into their superior levels of performance. Within each of us is the ability to become great at many things. But make no mistake, the process of becoming great at something is gradual and progressive and you cannot achieve a certain level of performance without first achieving smaller, more achievable levels. However, most people never even get to achieve the smaller levels and so they give up. The key is mastering a high level of performance at every single thing you do, so that you can gradually keep raising the bar until you are performing at a level beyond that of most people. And Today, I’m Going To Show You Exactly How To Do Just That…And Much More! 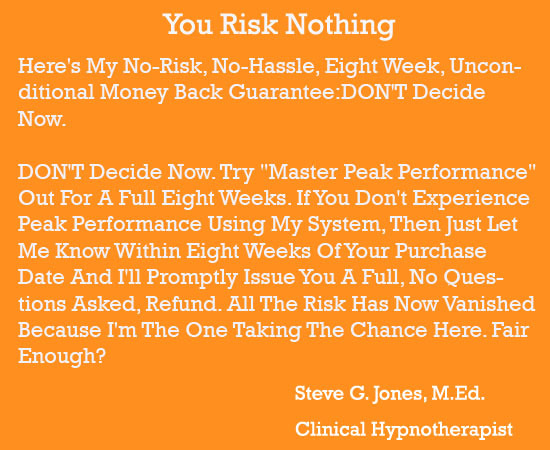 My name is Steve G. Jones, clinical hypnotherapist and I have been practicing hypnotherapy for the past 25 years. I have helped thousands of people (ranging from everyday ordinary people to stars and celebrities) improve their lives by simply reprogramming their subconscious minds to enable them to think, act and attract in a way that will bring them the results they desire. And now, I have created a resource that you can use in the privacy of your own home that will equip you with the ability to master peak performance at anything by simply reprogramming your mind on a subconscious level. 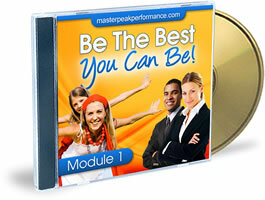 Introducing Master Peak Performance By Steve G. Jones, M.Ed. Four Powerful Techniques To Reach Your Full Potential – Here I will disclose the only four techniques you will ever need to propel you new heights of productivity and performance. The Secret Energy Residing Within You And How It Impacts Your Life Positively – Learn how this energy (which can sometimes even hurt you) can be transformed into a catalyst for driving results. The Key To Mastering Peak Performance On Both A Mental And Physical Level - Because true success involves both the mind and body, you will learn how to get the most out of both. Peak Performance For All Ages – People of different ages perform differently and that’s the reason why my formula will show you exactly how to get the most out of yourself whether you’re a spring chicken or about to retire. In the past, people would have to travel hundreds of miles and pay thousands of dollars to get their hands on this type of information. Reason being is that I was only able to make such an intense impact on one’s mind through a private session in my office. 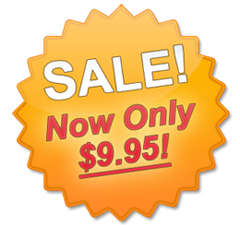 But now, due to the advancements in modern day technology and ground breaking discoveries in how people learn, you can reap all of the same rewards from the privacy of your own home through this program for just $9.95! 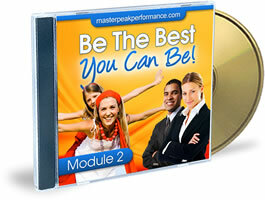 "Master Peak Performance" Consists of Four Empowering Audio Modules, which are approximately 30 minutes each in length. Hypnosis is a technique used to reach beyond the surface and see beyond the obvious. If success means wealth, power, adoration by peers, and all of the fringe benefits that go with it, then it seems everyone would want success. So it makes sense that there is something behind this fear that is not visible from the surface. 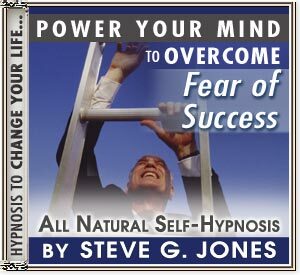 Hypnosis will go beyond the surface and explore and withdraw the real reasons for this fear. Click Below To Order For Just $27.97 $9.95!